Save now on all Calvary S Curve Antiqued Bronze Bits. For the best prices on horse tack equipment buy online from Horse Tack Now. This particular S curve bit is a high-quality horse accessory. This product features a curb as well as brass US Medallions. 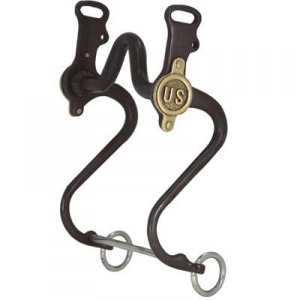 At Horse Tack Now, only the best horse bronze bits are offered at discount prices. Treat your horse with this luxurious bit and go for a ride today.